ComplexCon's Curator of Tech Jesse Williams and his wife, Aryn Drakelee-Williams, are injecting some much-needed color into the tech world with Ebroji. The power couple teamed up with artist Glenn Kaino to deliver a more diverse online experience—and that's only the beginning. It all started with one of those “There should be an app for that” moments. 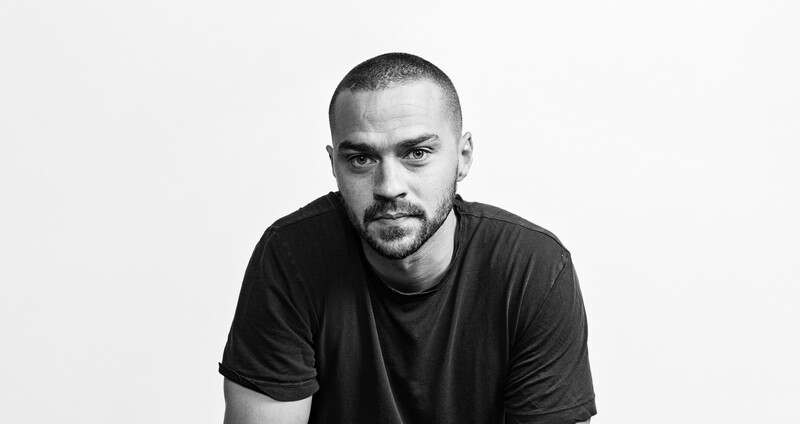 In 2014, longtime Grey’s Anatomy co-star Jesse Williams and his wife Aryn Drakelee-Williams were chopping it up about the confounding lack of racial diversity of smart phone texting options. Shortly thereafter, they came up with an idea that would quickly evolve into a subversive, groundbreaking tech startup called Ebroji. “Aryn was saying, ‘Emojis are so popular. Why on earth would there only be pink-faced emojis?’” Williams, his gray eyes gleaming, recalls. “‘Only white people get emojis? That’s preposterous! Somebody needs to make that. We need to make that!’” Cut to January of this year. Realizing emojis are so-five-minutes-ago technology-wise, the social justice-minded couple pivoted and made Ebroji’s core focus a curated GIF keyboard. According to activist-actor Williams, its aim is to obliterate “imposed restrictions, to let our language be us—and not clean it up for anybody.” Created in partnership with acclaimed conceptual artist Glenn Kaino—with whom Drakelee-Williams serves on the board of directors at the Los Angeles non-profit contemporary art exhibition space The Mistake Room—the app has been certified “lit” by The Huffington Post and applauded for its “mad flava” by Ebony. Ebroji headquarters is an upstairs studio in downtown Hollywood made up of ringing phones, a handful of workers coding at computers, small resin sculptures of melting buildings, and renderings of the app’s first sticker pack, which includes LeBron James’ disembodied head and the Beyonce-inspired pull-quote “Ask Becky With the Good Hair.” Gathered around a conference table, the three founders say that Ebroji already boasts twice the average retention rate of most apps and four times as many daily users (they decline to reveal specific install numbers). Organized around such tellingly specific categories as “Blackgirlmagic—Blackboy Joy,” “C’mon Son—Really?,” “Yaaass—Slay,” “Calmaté—Encouragement” and “Oprah,” Ebroji is hilarious and poignant. The app is firmly on the cutting edge with daily, sometimes hourly GIF updates to maintain its currency. There’s a whole section devoted to the Michael Jordan crying meme, while NeNe Leakes’ snap-tacular blonde visage dominates a category devoted to “Real Housewives.” “Election 2016,” meanwhile, catalogues a dizzying array of Donald Trump mansplainations and resting duck faces. Users can even upload their own GIFs. Drakelee-Williams, 36, is a Barnard College graduate who established herself as a successful real estate broker in New York before co-founding the transmedia farWord Inc., a company separate from Ebroji, with her husband. The idea was to enable a new, “refreshing” kind of self-representation for communities of color who have discovered that “LOL” and cute cat videos simply don’t cut it for them. “It’s about having the tools at your fingertips to speak and express yourself the way you naturally would, versus trying to morph how somebody else’s system functions for you,” she says, as Williams and Kaino nod in agreement. (Above) The Ebroji team from left to right: Glenn Kaino, Aryn Drakelee-Williams, and Jesse Williams. None of which would be such a big deal, had Ebroji not come to rank among just a small handful of tech start-ups founded and operated by Americans of color. Kaino is a painter-sculptor-video-performance artist whose work has been shown at the prestigious Whitney Biennial and has also served as executive VP of digital operations for the Oprah Winfrey Network and chief creative officer at Napster. To hear him tell it, Ebroji’s mission was born, in part, out of a certain barrier to an insular industry almost homogeneously white, male and moneyed. On the surface, Ebroji redresses the balance of racial representation in the iTunes App Store and provides a little GIF-based “comic relief” in a year dominated by the divisive vitriol of presidential campaign politics. But more importantly, the Ebroji founders hope to convince other would-be digi-preneurs of limited technological means that creating a successful startup is, in fact, within their grasp. Viewed a certain way, Ebroji arrives as Williams’ latest effort to spotlight race relations in America over a lifetime of social justice outreach. The Temple University alum serves on the board of directors for the Advancement Project, a multiracial civil rights organization; he executive produced Question Bridge: Black Males, an innovative art project that became an official selection of the 2012 Sundance Film Festival; and he executive produced the galvanizing BET documentary Stay Woke: The Black Lives Matter Movement (which premiered in May). Receiving a Humanitarian Award at the BET Awards in July, though, Williams’ activist streak went viral when his fiery acceptance speech denouncing racism, police brutality and cultural appropriation lit up social media. It prompted an outbreak of chin-stroking thinkpieces and a Change.org petition demanding the actor be fired from Grey’s Anatomy, which went nowhere. (Above) Jesse Williams, Glenn Kaino, and Aryn Drakelee-Williams. It’s probably worth pointing out the chain of command within the company: Drakelee-Williams serves as CEO while Williams is their creative director. “That was Glenn’s idea,” she says with a laugh. “Creatives sometimes need handling!” says Williams, who in conversation is unfailingly decorous toward his wife, seconding her talking points and pridefully pointing out her ability to speak fluent French and Spanish. The couple got together in 2003 while Williams was still teaching high school and middle school prior to his breakthrough acting role in Sisterhood of the Traveling Pants 2. Early on in their relationship, the two began “flipping” homes together (that is, buying, renovating and selling them for a substantial profit). It’s clear he values both her companionship and self-made business acumen. “She taught me everything I know about real estate,” Williams says. It begs the question: does the company have more apps planned, or are Ebrojis a one-off thing? The co-founders deliberate about what they can and can’t say on the record, before agreeing upon a suitably cryptic answer. “We’re grinding on some stuff,” says Williams. “I would say Ebroji has just begun,” adds Kaino, breaking into a wide smile.